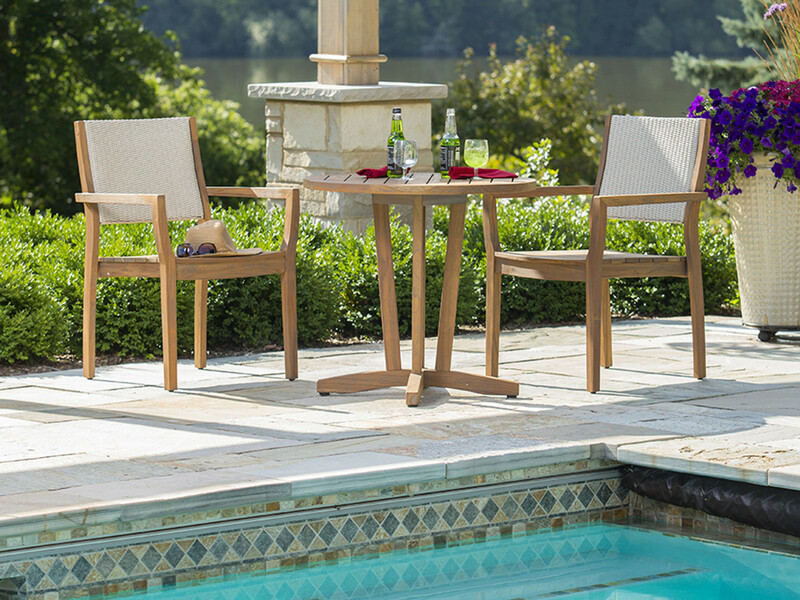 The Antique Bistro Set by Lloyd Flanders offers the classic beauty and inherent strength of natural materials. The slat-top teak bistro table is transitional in style and looks fabulous with many styles and types of bistro dining chairs. This sustainably sourced, FSC-certified furniture is finished in a Lloyd Flanders exclusive antique gray and will achieve a rich, silvery finish over time when left outside.